The Philippines has so many places that could claim the title of most romantic spot. 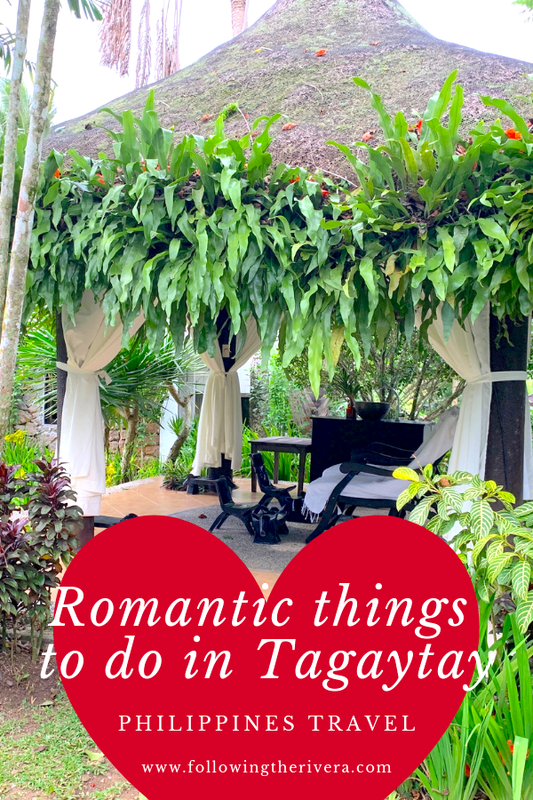 But, the city of Tagaytay (Ta-guy-tie) offers more than just romance; it’s also a travel destination full of couples activities. 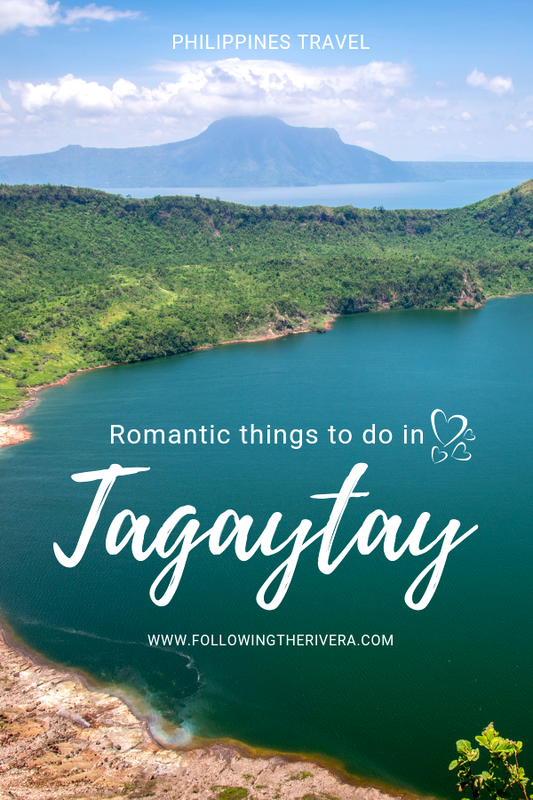 An area full of incredible natural beauty, finding romantic things to do in Tagaytay is a breeze. And speaking of the breeze, Tagaytay’s high elevation brings with it cooler temperatures. In a country accustomed to humid tropical figures in the 30s, the temperature in Tagaytay are a welcome change. Above all, a day trip to Tagaytay is the ideal date destination. Offering picturesque views, romantic landscapes and a designated picnic area, it’s hard not to feel the romance here. Whether you visit for Valentine’s Day, or a romantic escapade, these couples activities will assure plenty of quality time together. The city is located on the island of Luzon — also known as the largest of the Philippine islands. Tagaytay is a popular day trip from Manila with the locals, and it’s easy to see why. It’s not too far to travel by car (1.5 hours), and also gives a much-needed break from the city. You can take a bus from Manila to Tagaytay, but it takes much longer to get there. Providing the volcano remains dormant, there’s something quite romantic about admiring one — from afar. Taal (Ta-al) Volcano sits on Volcano Island in the middle of Taal Lake, and is nothing but dreamy. It’s also the second most active volcano in the country, but don’t let that worry you. There have been 33 eruptions recorded, the majority of which are concentrated on Volcano Island. 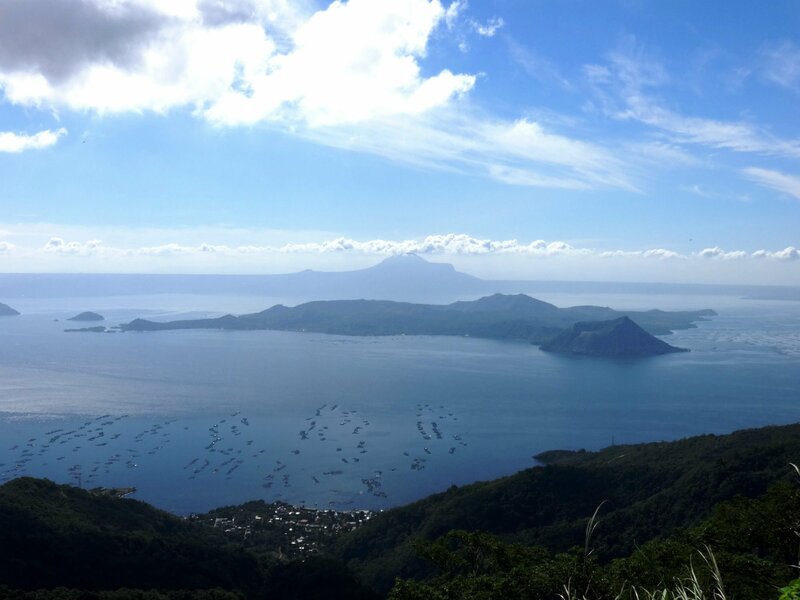 There are several viewing spots to see views of the volcano, the number one being from Tagaytay Ridge. Depending on the time of year you visit, you shouldn’t find crowds clamouring over the best viewing spot. We visited in November, and met hardly anyone there. Saying that, having the view of Taal Volcano and lake to yourself is possible, as is taking uninterrupted photos. 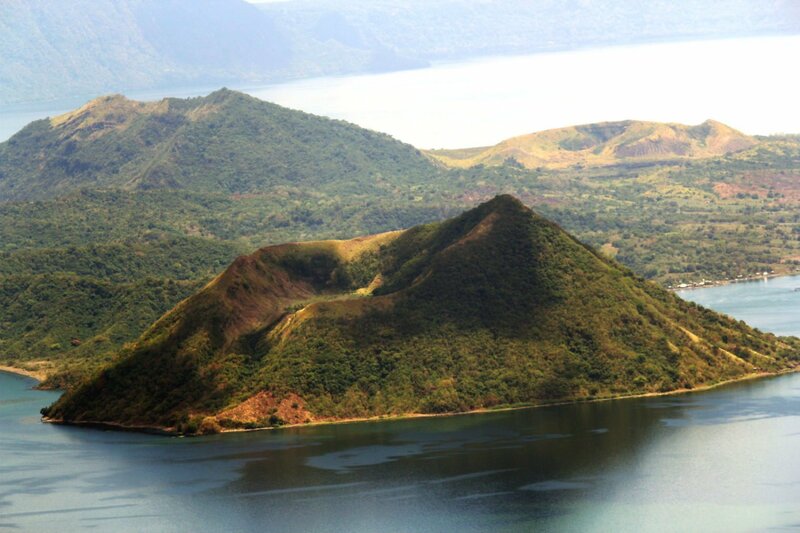 Couples that prefer a little more adrenaline in their day trips may want to consider a hike up Taal Volcano. There are several tour companies and packages selling guided hikes, but be sure to do your research before booking. When done right, having a picnic is one of the most romantic things to do in Tagaytay. Set against the backdrop of Taal Volcano and lake, Tagaytay Picnic Grove is a picturesque spot for 2. You can hire any of the picnic huts, which could be useful if you visit during rainy season. There are also other romantic activities on site, such as ziplining and horseback riding. While Tagaytay Picnic Grove is ideal for families and friends, couples really get the best of both worlds. There’s a small entry fee to enter the grove, as well as for the huts and the activities. Check the website for the most up-to-date prices, but be sure to add it to the itinerary. Of all the activities to do in Tagaytay, I never expected visiting a museum to be one of them. 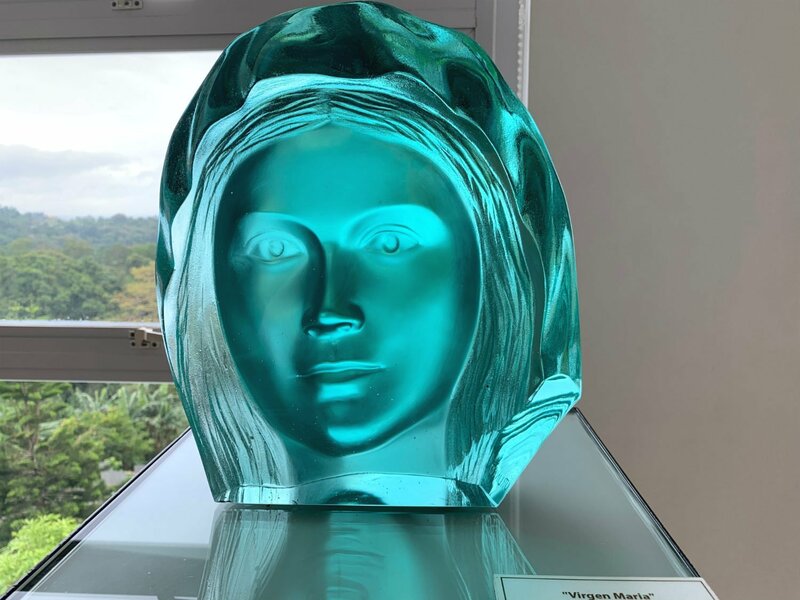 Museo Orlina is a modern museum that houses the work of glass sculptor and Tagaytay native, Ramon Orlina. His collection is impressive to say the least. Multi-coloured glass structures adorn the bright exhibition rooms, with Taal Volcano and Lake also in the background. Orlina clearly has an appreciation of the female form — as you’ll see when visiting. There’s definitely a romantic element in Orlina’s approach to sculpture. Married with the large window panels allowing in plenty of natural light, Museo Orlina is an ideal activity for couples. While there, don’t forget to also visit the rooftop and sculpture garden. The views of Tagaytay are spectacular from the top, and special from the garden too. Entrance fee: PHP 100* (£1.48/€1.70/$1.91); students and senior citizens: PHP 80 (£1.18/£1.36/$1.53). Pulling up outside Balay Dako, I was immediately taken by the Spanish-style colonial house staring back at me. You also get the sense you’re about to enter someone’s home for lunch, and the anticipation begins to build. In the local dialect, ‘Balay Dako’ means big house, and its motto ‘welcome home’ is something you feel throughout. A place for families and groups of friends to gather, it’s really couples that feel most special here. Its interior consists of the finest Philippine mahogany carved into the bannisters and restaurant furniture. Upon entering the dining room, you’ll be blown away by the view from the large panelled windows. 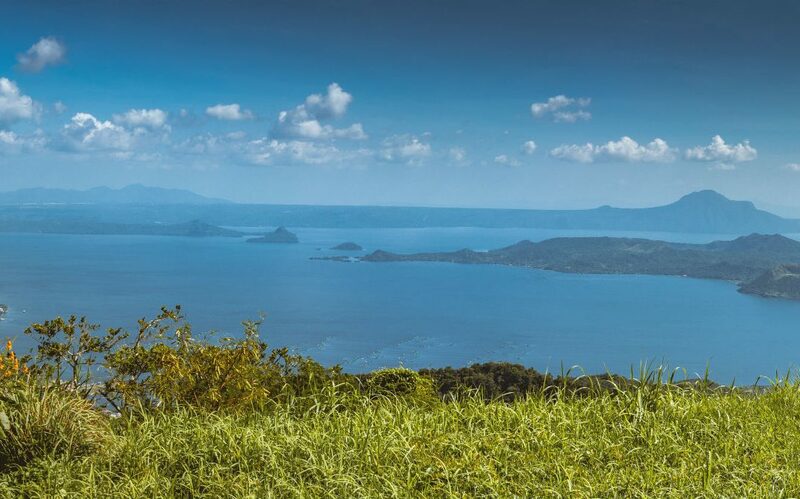 Far-reaching views of Taal Volcano, lake and the surrounding greenery of Tagaytay lay before you. That said, be sure to book a window table; it’s one of the most romantic things to do in Tagaytay. The cuisine is predominantly Filipino, but on occasion also showcases its Spanish colonial roots. During our time there, we tried several regional dishes. These included Sinigang ng Balay, a homemade sour soup with vegetables and shrimps, and the infamous Lechon Kiwali. This Filipino classic is crispy roast pork, but probably unlike any other you’ve tried before. And when you taste some lechon as good as that served at Balay Dako, you’ll want to return for more. The food’s really delicious, and filling, at Balay Dako, but I urge you to save room for dessert. Along with Filipino classic sweets, like mango sago con leche, they also serve their very own homemade sorbet. There are 14 flavours to choose from, including lychee, avocado and oreo. I also have to mention their excellent range of fresh fruit juices and smoothies. Being so used to the fruits we have in Europe, it was great to try all sorts of exotic varieties. Try the mango, guanabana (custard apple) or calamansi (Philippine lime) juice or smoothie — you won’t be disappointed. If you’ve ever wondered what it’d be like to visit an abandoned presidential palace, wonder no more. The park was previously called Palace in the Sky. It was the name for the mansion from the Philippines former first lady and original shoe queen, Imelda Marcos. Sitting atop Mount Sungay, the palace was to be a monument to the Marcoses’. Construction of the palace was hurried to complete it in time to receive US President Ronald Reagan in 1983. However, plans were quickly halted when the president cancelled his visit, leaving the structure unfinished. 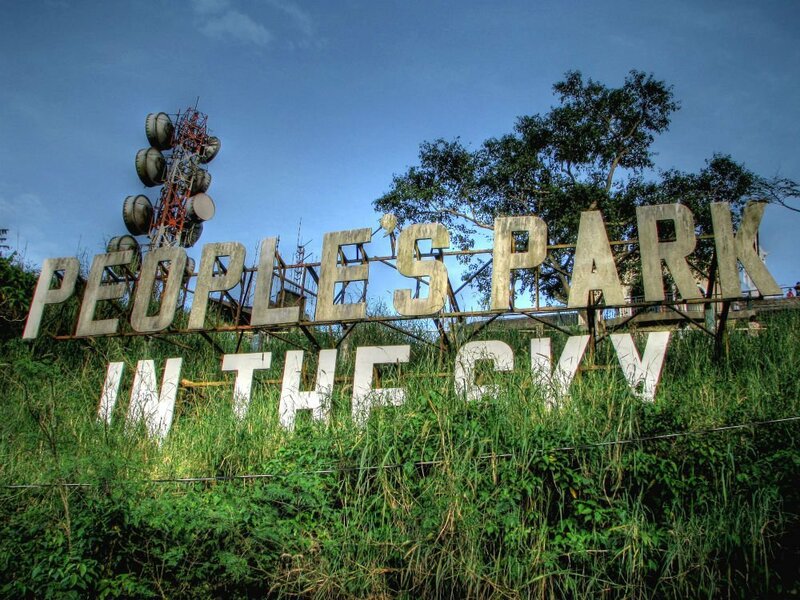 While its backstory may have a less than savory association, the People’s Park in the Sky is ideal for couples. It’s the highest viewing point in Tagaytay, and you almost feel you’re at eye-level with the clouds above. Rent some binoculars with your loved one, and take in unspoiled views from a higher perspective. 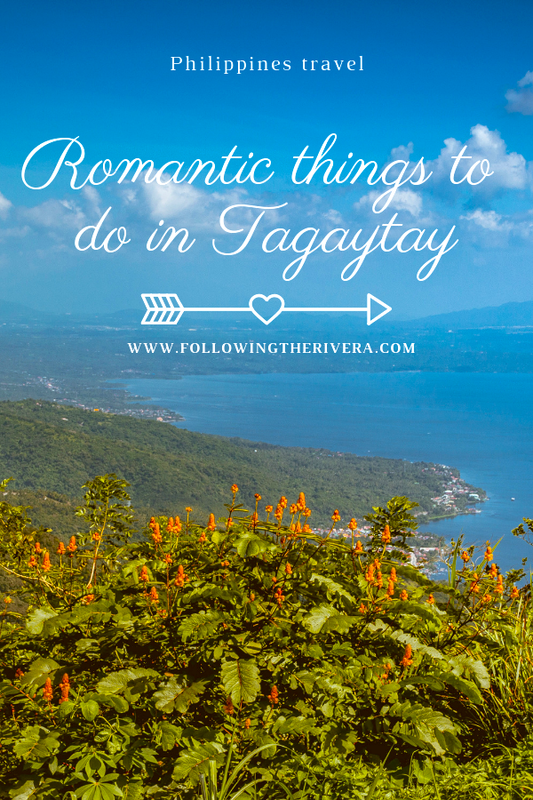 However long you choose to spend here, it’s one of the most romantic things to do in Tagaytay. Nothing says couples time more than by booking some relaxation at a wellness spa. Tagaytay’s home to several in the area, and if you’re coming from the west, it’s also reasonable in price too. 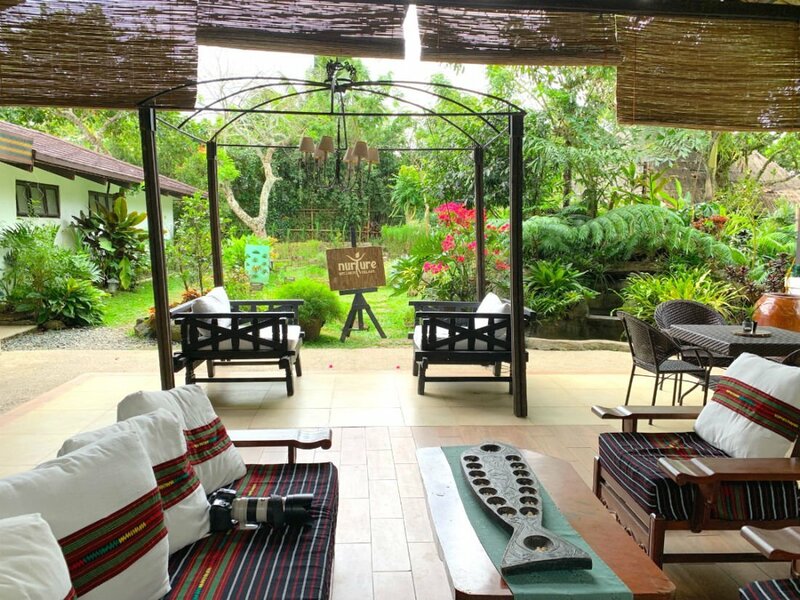 Nurture Wellness Village is one of many in Tagaytay, offering its guests a chance to unwind and also to recharge. 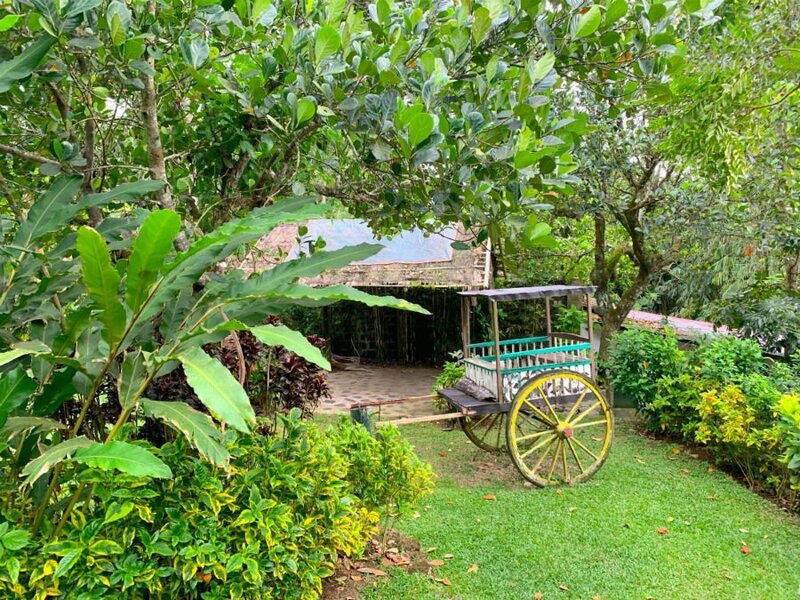 Away from the noise of the outside, is a peaceful tropical nirvana surrounded by wild forests and herb garden. As well as traditional villas, the resort also has glamping on site, giving guests a true outdoors experience. Gabriela Restaurant, the on-site restaurant, extends the wellness theme, serving up guests healthy Filipino vegetarian and also non-vegetarian meals. The chefs source the majority of their ingredients from their own garden, ensuring 100% freshness in the meals. However, the main attraction at Nurture Wellness Village is the spa. Combining local and foreign massage therapies, therapists use freshly blended aromatherapy oils to have you feeling totally relaxed. Check into one of the couples’ spa rooms, and enjoy a range of holistic treatments with your partner. If you decide to spend longer than a day in Tagaytay, there are several luxury hotels perfect for 2. 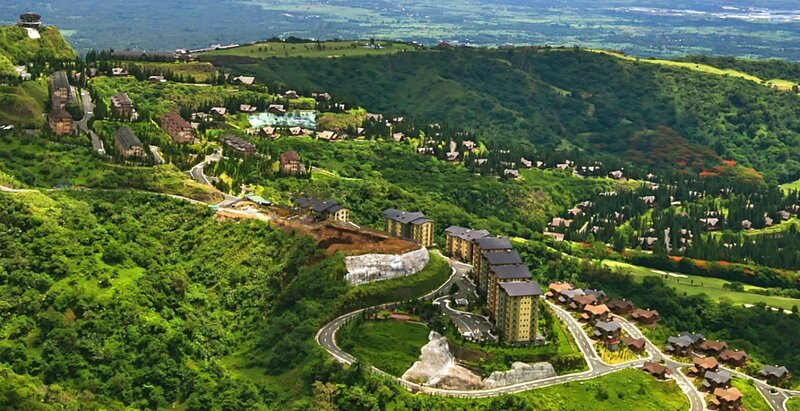 Escala Tagaytay is a gorgeous 4-star hotel, offering 60 rooms, and an impressive swimming pool overlooking Taal Lake. The hotel’s away from the noise ensuring it’s just you, your loved one and the views. Anya Resort is popular with all types of travelers, and you’ll understand why when you arrive. Offering air-conditioned suites complete with marble bathrooms and also a fabulous spa, you’re guaranteed a relaxing stay here. Complimentary WiFi is available throughout the entire hotel. 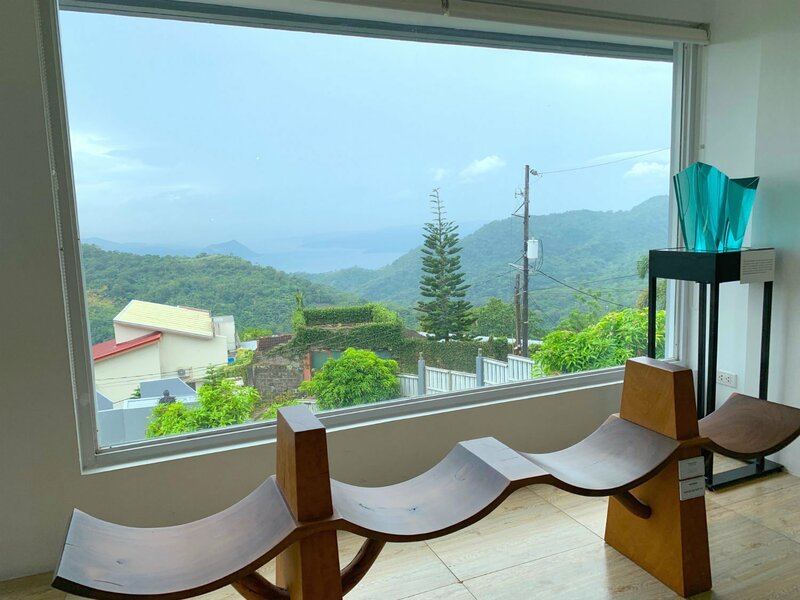 Wake up to plenty of natural light and views of Taal Volcano and lake at The Carmelence View. Rooms here come with their own terrace, and even a hot tub, depending on your room type. It’s little surprise the hotel’s a hit with couples seeking some alone time. The Carmelence View also has its own garden, and friendly staff on hand to advise on your stay in Tagaytay. Would you like to visit Tagaytay one day? Which of these activities most appeal? Let me know in the comments below! Tagaytay is a place where I would surely love to visit from Manila. Taal volcano island is surely romantic. Also the nurture wellness spa is my kind of thing. Perfect romantic things to do/places to visit you have shared right before the Valentine’s. This makes me feel like going there with my partner this week. Tagaytay is the nearest destination from the city for a short weekend. It was a beauty, but slowly it is fading because of pollution. We saw some resorts near the lake where their seawage flows directly to the river, and trashes scattered everywhere when we visited the People’s Park. I do hope they clean-up. As for resorts near the lake, i doubt they will do it coz there is no other ways to dump those used water, unless they invest on constructing huge dumpsite. I love this post! We’re planning different parts of our honeymoon and are considering Philippines as part of the itinerary. Thanks a lot for this! What a gorgeous place! Honestly, I would just hang out at the beach the entire time with my hubby. What a beautiful town. I love the way it sort of stretches on one main road, surrounded by nature. I’d love to visit one day and spend a few romantic days at the Escala Hotel, which looks so gorgeous. Escala Hotel would be the icing on a Tagaytay day trip cake! Absolutely stunning. I have heard a lot of great stuff about the beauty of the Philippines, and it is lovely to see it. Tagaytay looks like the perfect escape from the city. It must be so nice to have it only an hour and a half away from Manila. The Taal Volcano looks so dramatic and spectacular, but most of all that infinity pool at the Escala is stunning. Wow Baly dako has the most gorgeous view. That’d be some place I’d instantly fall in love with, without a doubt! Ooh! I’ve always wanted to go to the Philippines. Now I’ll have to add Tagaytay to my list. Thanks for the recommendation! You’re welcome, I really hope you see it for yourself one day! What an incredible place to visit! I love the natural beautiful of the island. Thank you, it’s a stunning location and still unspoiled too! This is my dream vacation wow! Just breath taking I would love to go!! So beautiful. I love the Museo Orling Glass sculpture the colour was amazing. 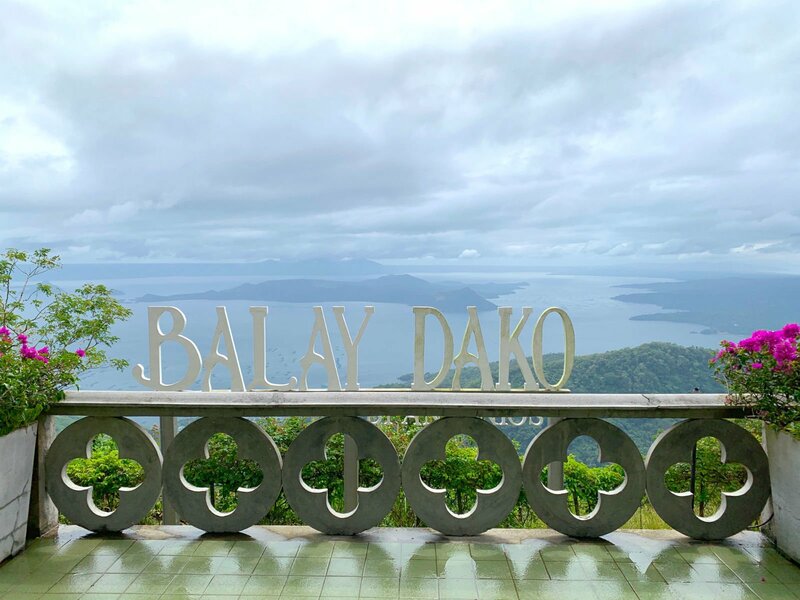 What stunning views from Balay Dako – a perfect getaway at any time. Thanks for sharing. This place is so beautiful it doesn’t even look real; this is going on my list of places to vacation. So pretty! I need to explore Tagatay! Your photos make such an amazing display of this place! Wow, how gorgeous is this place! I would love to come here, its so green and the scenery is amazing. I think the scenic picnic with the view of Taal Volcano would be really nice. I’ve heard about many romantic places in the Philippines but it’s my first time hearing about the city of Tagaytay. It sure looks like a place of my dream vacation! I never thought that one can find such a place so close to Manilla! Wow! This is a must! I really love all your post and I am following your blog but I was so impressed with this one! Thank you for sharing with us! Aw thank you Georgia, that makes me extremely happy to read! Tagaytay looks like a perfect romantic getaway. The lovely views rank at the top of my list of scenic spots. Also its incredibly full of healthy nature there. Thanks for highlighing this place! This looks like such a lovely place! Looks like there are plenty of romantic things you can do. Tagaytay is a romantic place! The photos in your posting are amazing! Looks like a great place to visit. OH my gosh!! This place is GORGEOUS!!! Volcano island is amazing and I feel like I need to go there! It’s really gorgeous and you must visit! Gorgeous photos! Thank you for the guide! I would love to visit one of these days. Wow this looks so amazing! I’ll have to put it on my bucket list! You have to, it’s wonderful! WOW! It looks beautiful there. This place looks so loving and like you said it will definitely be a perfect place for a date. Totally agree with this post 100%, my husband and I did all this when we used to live there. Would trade this snow for a day in tagaytay ? Tagaytay has always been my go to spot whenever I want to escape the city life. I do agree that it has quite a lot of romantic spots. It’s a gorgeous location, you’re lucky you’re nearby! i have never heard of this place before, but omg how beautiful! Your photos are simply stunning! I’ve been to tagaytay twice. So far I’ve only tried horse back riding, zipline and ate at balay dako. (The view was amazing)Will definetly try to check out the activities reccommended above. I’ve never been to the Philippines. This city looks gorgeous from what you’ve shown. This is certainly somewhere I’d want to visit. Maybe the next time I’m in country. My goodness these views are stunning! I had never heard of Tagaytay, but now I will surely put it on my bucket list. Thank you for walking through all the things to do, this is extremely helpful! The museum is always a good idea. I’ve always found that visiting places like this one can be magical. I’ve been wanting to visit Tagaytay but never really had the chance to do it. Thanks for sharing this, will definitely check this again for my next visit to the Philippines. Amazing to read, you’ll love it there! 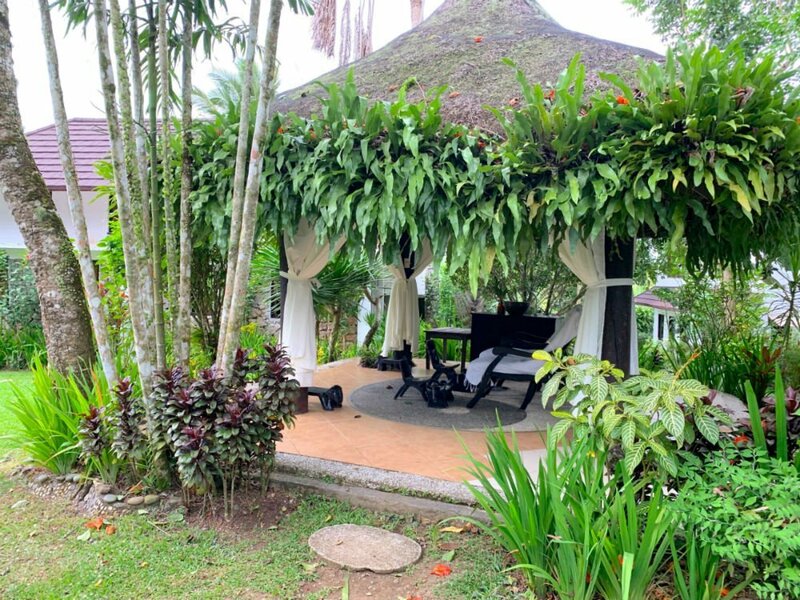 This is seems a paradise corner, a place where everybody have to escape once for a relaxing time away from the routine. It is also so romantic, that make it suitable for everybody. We’ve never heard of Tagaytay but it looks a beautiful destination! Some great suggestions and we’re going to look into a trip there now! I just put this is on my bucket list of places to visit. Hopefully one day I will have the opportunity to go with my sweetheart. Those views are just to die for! Wow, this would be a great vacation! It’s the ultimate romantic break! I can understand why Tagaytay is known as a romantic destination. The place looks so beautiful. Even I can’t imagine visiting a museum as a part of romantic escapade! But again, the view from Museo Orlina and the glass sculpture is surely gorgeous. Your photographs do full justice to the beauty of the place. Best place for couples to spend time on this valentine’s Day. Nice article and nice pictures. Thanks for sharing. It’s really that type of place, thanks for commenting! Wow this place is beautiful. Perfect place to plan a romantic vacation. I would love to visit the city of Tagaytay. It does indeed sound so romantic. Thanks for sharing all the information about this place in detail. I really like to visit this place with my family. That’s a great guide to Tagaytay. Never heard of this place before, adding it to my list of places to see ?. The view from Museo Orlina looks splendid, I could I the first view early in the morning from that window. Also loved the idea of a picnic. Me and my husband plans to do it but it till now that plan never consolidated. I am single but I am in love with the view! Picnic with THAT view?! I am in! Tagaytay is a place where I would surely love to visit. Taal volcano island is surely romantic. This makes me feel like going there with my partner this week. You must go, it’s a great place to see! OMG! Feels nostalgic! We got married in Tagaytay! Tagyatay is great for couples and families. I also recommend Antonio’s!!! Aw I hope you get it soon, there’s a lot of world to see! I have to admit that any place that has volcanoes is so intriguing to me. I love the geographical landscapes that it creates. That juxtaposed with the lush greenery and crystal blue waters are so stunning. The Nature Wellness Village would be a great place to call home for a few days, too! Yes, it’s so serene and picturesque there, a stunning place for r&r!